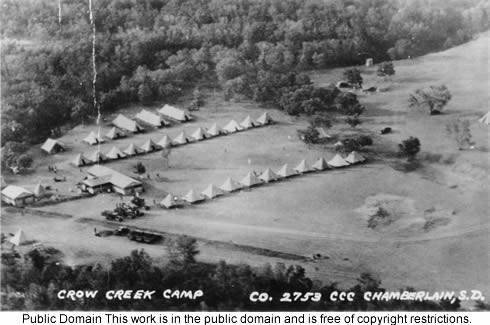 Camp SCS-1 was at Crow Creek from 1935 to 1938 and at American Island from 1938 to1941. 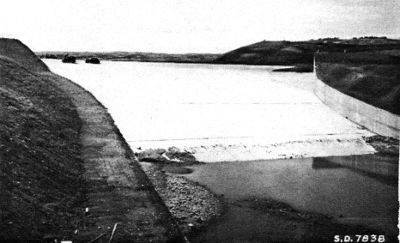 Located Chamberlain, 13 miles north of Chamberlain, Camp Crow Creek was located on a dusty hill inside one of several horse shoe bends in Crow Creek about 1 mile from its confluence with the Missouri River--1/2 mile east of S. D. Highway 47 in Buffalo County. 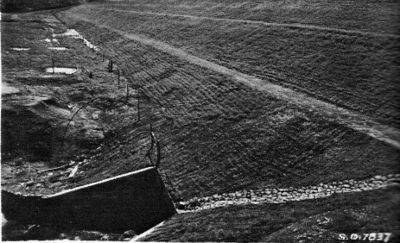 It opened as a drought relief camp in 1934, and was a tent camp during the first summer. Its camp designation number probably was DPE followed by a 3digit number. 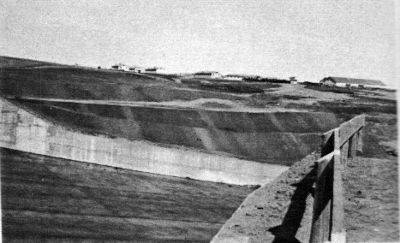 After being unoccupied during the winter of 1934-5, it reopened as Camp SCS-1 the next summer and became a "permanent" camp. 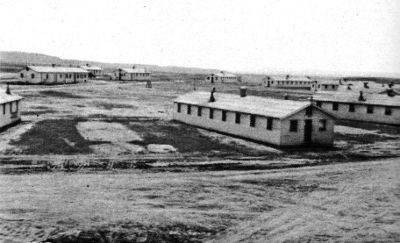 The mess hall kitchen and bath house were built in 1934, but the eight barracks, headquarters, recreation hall-PX, infirmary, officers' quarters, foremen's quarters, maintenance shops, etc. were apparently not built until 1935. 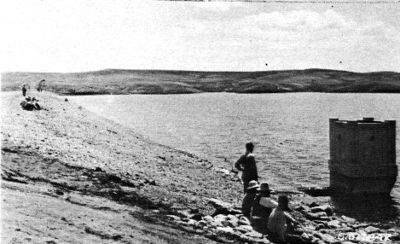 The camp opened July 31, 1934, and closed in mid-May 1938. 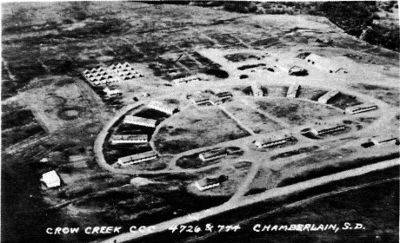 Company 2753 was organized in July 1934 at Camp F-12 (Custer), was at Camp Crow Creek that summer, and moved to Camp F-1 (Mystic) in October. 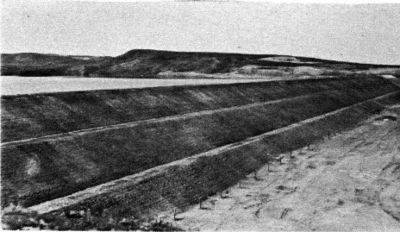 The company arrived at Chamberlain, SD July 31, 1934, and moved by truck to Camp Crow Creek. The only permanent buildings, a mess hall-kitchen and bath house, were completed before the company's arrival. The company was housed in tents. The tents and frequent dust storms did not fit together so well at times and there were times when even the "native sons" admitted that weather conditions were a little disagreeable. The company survived, though, without any perceptible ill effects (1935). 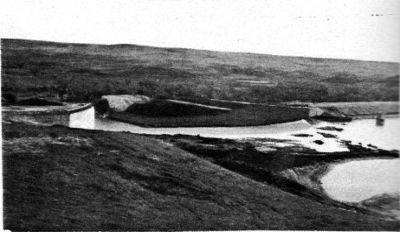 All of the many windstorms were eclipsed by a small hurricane which swept over the camp at 11:30 p.m. August 13. Many of the tents were blown down and badly damaged, but there was no serious personal injury or damage done. It was extreme excitement when the tents started to leave the country (1935).